By Peeters Landbouwmachines B.V. based in Etten-Leur, NETHERLANDS. 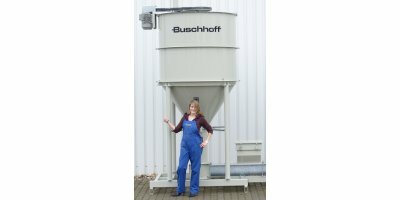 Vertical feed mixers are designed for preparing dry loose feeds for different groups of farm animals. 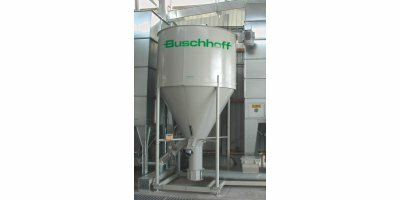 The mixers may work either with a suction-pressure mill or with a gravity (charging) mill, and it is fitted to work with a top or bottom dedusting system (selectable). 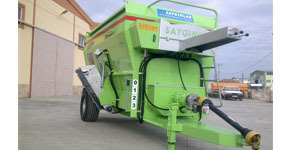 Mixer 80 can be used for preparing concrete, mixing animal feeds. 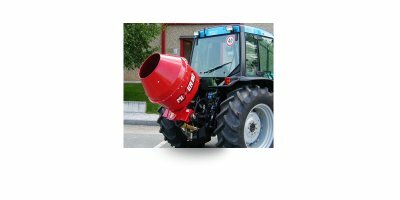 STANDARD EQUIPMENT: cone painted with primer and two components polyuretane finish/ PTO shaft/ hydraulic movement, the cement mixer is equipped with all standard outfit. 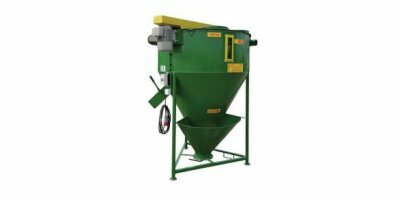 Horizontal feed mixers are designed for preparing mixtures of loose materials in order to obtain dry concentrated feed. They may work independently, or in simple or advanced, automated milling and mixing systems. 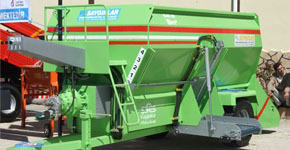 Horizontal mixers enable high-quality mixtures to be obtained. With the Cormall multimix you can make a excellent hors feed that can be connected directly to any packing system. Loose feed mixer is used to prepare nutritive fodder blends for various groups of animals. Its steel, welded construction is made of high quality materials. 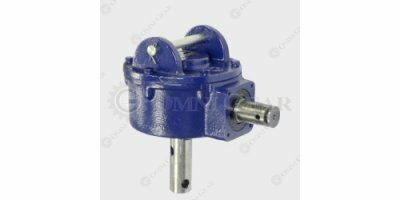 The movable part is placed on rolling bearings. A coat of varnish protects the whole machine from corrosion. By M-ROL based in Odolanow, POLAND. By One2Feed based in Silkeborg, DENMARK. Feed Mixer 13 m3 Double Helix with Reduction Gear, Back Loader and conveyer. 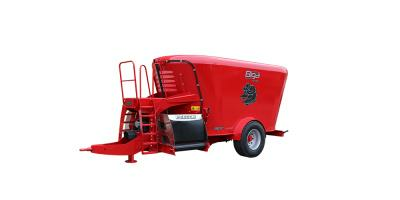 This machine can chop straw, cloves and hay bales and mix it with corn silage, broken beet parts and pulp, bran and feed homogenously. It is ideal for big-sized businesses. 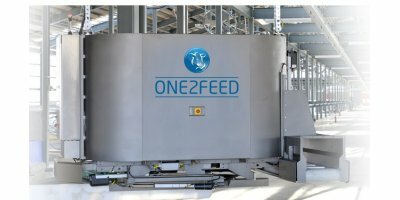 Feed Mixer 8m3 Double/Single Helix with Reduction Gear, Back loader and conveyer. 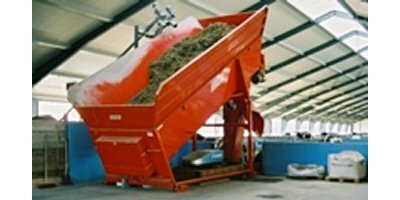 This machine can chop straw, cloves and hay bales and mix it with corn silage, broken beet parts and pulp, bran and feed homogenously. It is ideal for big-sized businesses. By Owen Cattle Company Ltd based in Hereford, UNITED KINGDOM. The PHD-15 has been designed as a high value gearbox for post hole digger manufacturers. Engineered with triple lip oil seals and high quality bearings, the PHD-15 is a robust, reliable gearbox.